Am 12. Oktober 2008 starb Hugo von Hofmannsthals Enkel Michael Zimmer in New York. Als jüngstes Kind von Hofmannsthals Tochter Christiane und deren Mann Heinrich Zimmer 1934 in Heidelberg geboren emigrierte er im Alter von fünf Jahren mit der Familie zunächst nach England, 1940 dann nach New York. 1943 starb der Vater. Nach dem Schulbesuch in New York nahm Michael Zimmer das Studium der Architektur an der Harvard University auf, das er 1958 mit Auszeichnung abschloss. Seine Lehrer waren u. a. Walter Gropius und Siegfried Giedion. Eine anschliessende Tätigkeit in dem New Yorker Architekturbüro Pedersen & Tilner war nicht von Dauer. 1963 heiratete er Emily Harding, die Tochter aus zweiter Ehe der zuvor mit Raimund von Hofmannsthal verheirateten Alice Astor. (Die Ehe wurde nach einem Jahrzehnt geschieden.) 1967 wurde der Sohn Jacob geboren. Die folgenden Jahre verbrachte Michael Zimmer auf der Antilleninsel St. Barthélémy, wo er 1969 ein Küstengrundstück erwarb. Gemeinsam mit seiner Gefährtin Vera Graaf betrieb er zunächst auf einer Nachbarinsel ein Kino, danach widmete er sich der Ausgestaltung seines Besitzes „Le Camp“. Nach dem Tod seiner Mutter (1987) kehrte er nach New York zurück und übernahm deren Haus im Greenwich Village. 1990 heiratete er Véronique Sari. Im gleichen Jahr kam sein Sohn bei einem Badeunfall ums Leben. 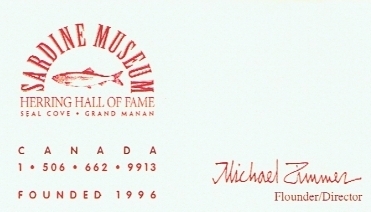 1996 gründete er auf der Insel Grand Manan in New Brunswick (Canada) das „Sardine Museum & Herring Hall of Fame“. Bis zuletzt ist er dort tätig gewesen. Nur zwei Monate nach seinem letzten Aufenthalt auf der Insel erlag er einer erst spät diagnostizierten Krankheit. Viele Hofmannsthal-Freunde werden sich an Begegnungen mit Michael Zimmer bei der Eröffnung der Ausstellung über Hofmannsthal und Goethe (im November 2001) und anlässlich der Übergabe der letzten noch in Familienbesitz befindlichen Manuskripte Hugo von Hofmannsthals im Freien Deutschen Hochstift (Juli 2006) erinnern. Am 16. Mai 2009 fand in New York in Anwesenheit von Verwandten und Freunden eine Gedenkfeier für Michael Zimmer statt, bei der die im folgenden wiedergegebene Ansprache gehalten wurde. Michael rarely talked about his family and the past. He didn’t want to look back. That he was born into a family of famous writers and scholars must have been a burden he needed to escape. Much of what he did and what he achieved and what he did not achieve can perhaps be explained by this. Michael disliked pretention, he avoided academics, and he was definitely skeptical about fame – except for herrings and sardines of course. The Sardine Museum & Herring Hall of Fame was no doubt his only deliberate contribution. Michael’s father, Heinrich Zimmer, a German Protestant, was a distinguished scholar and one of the world’s leading experts in the field of Indian mythology; he was a fine writer as well. Michael’s grandfather on his mother’s side was Hugo von Hofmannsthal, a writer who was celebrated in his youth as one of Europe’s great symbolist poets; later he became a renowned dramatist; his stage plays were produced by Max Reinhardt with whom he also founded the Salzburg Festival. To this day, the Richard Strauss operas for which he wrote the libretti are in the repertory of virtually every opera house around the world. Christiane was remarkable in a distinctive, very human way; among her friends, she was famous for her warm hospitality, bringing together people of all kinds in her home on Commerce Street as well as in her apartment on Kunigundenstrasse in Munich. Writers and scholars from both continents frequently visited and stayed with her. But prestige mattered as little to Christiane as it did to Michael. Some of her guests were even like additional children, which may have been difficult at times for Michael who was nonetheless always generous. For a long time Michael’s ambivalence about fame seems to have extended to the possession of noteworthy objects from the past. When he married Emily his mother gave him as a wedding present the famous early Picasso self-portrait “Yo Picasso” which Hofmannsthal had acquired in 1913. Michael sold it. His attitude towards this kind of heritage was unsentimental. Lateron he disposed of other family heirlooms; he replaced them with reproductions. If anyone mentioned that he had sold the Picasso for a comparatively modest sum (years later the painting sold again for the highest price ever reached for a twentieth century painting at the time) Michael would reply that he had no regrets. That the piece of land on St. Barth’s that he acquired with the proceeds had become a little paradise which he shared with Vera and their friends. And that he preferred inviting living artists to stay with them instead of holding on to objects simply because they had a history. Once when Michael put Commerce Street up for sale, a friend tried to convince him to keep the family home. Michael’s response was ironic: „I like (and share) your emotion, your love for my house” he wrote, “I do not share your enthusiasm for preserving all of the past, and especially the past that is not really yours.“ Nonetheless, sometime later he staged a house party during which Sotheby’s Real Estate sign was formally removed. Of course Véronique could not have replaced his mother, but she was a wife to him for several years; on the other hand the young friends with whom he shared his life from then on could well have been his sons. 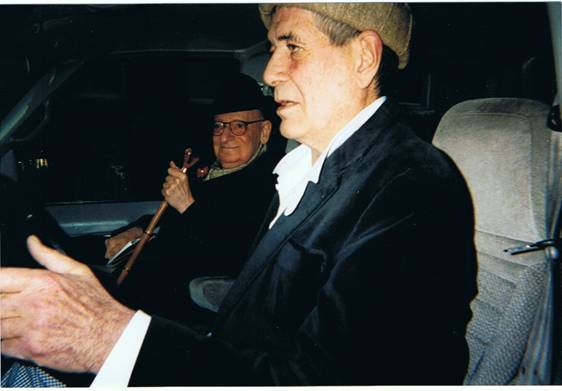 As for his concern about photos and books – preserving elements of the past clearly had become more important to him. There are many examples. 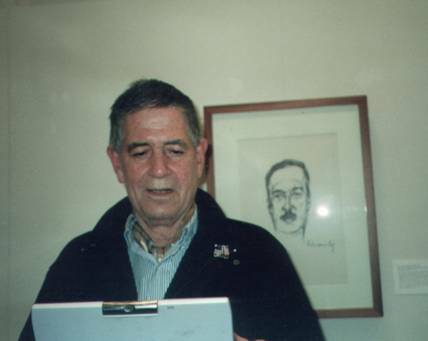 One day a student who had been a classmate of Jacob’s, Jeanne LaVallee, approached Michael to ask him for help with her plan to write a biography of Heinrich Zimmer. He provided her with documents from his father’s estate and supported her in many ways. He also welcomed Maya’s effort to publish their father’s correspondence. He even travelled twice to Europe to attend gatherings devoted to the life and work of Hugo von Hofmannsthal. Not long ago he drafted a family tree for Christopher. I think the Sardine Museum can be considered Michael’s masterpiece – a playful and loving act of preservation and renewal. What he did there is not unlike what his father and grandfather achieved by translating and passing on ancient myths to modern audiences, or by renewing theatrical traditions. In Vera’s documentary film about the museum, Michael defines his activities on Grand Manan as part of what he calls „the family tradition of entertaining the masses“ – which of course alludes to the impact of the Salzburg Festival, Jedermann and especially Der Rosenkavalier. I don’t think this was just an offhand remark. Michael was ready now to acknowledge his own debt to certain traditions and mentors. Peter Cunningham’s beautiful photographic record of the Sardine museum that consists exclusively of images contains Michael’s tribute to one of his teachers at Harvard, Siegfried Giedion. Giedion celebrates what he calls anonymous history and anonymous art, like industrial buildings and articles for daily use. (A programmatic phrase in his book, Mechanization Takes Command, reads: „Even a teaspoon reflects the sun“). Perhaps Michael saw himself this way as an anonymous architect. Though in the film we hear him say: „I’m not an architect – I’m a man who likes houses,“ three or four houses he designed were actually built. 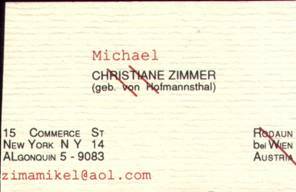 And at Commerce Street he put a nameplate on the door in his beautiful handwriting that identified the owner as „Michael Zimmer Architect“. Maybe he wanted to promote the idea that even imaginary architecture is architecture. If so, I think he was right. Hofmannsthal’s complete works are being published in a definitive historical-critical edition. A group of distinguished scholars has been engaged in this undertaking over the last 40 years. 32 large volumes have appeared so far, more are under way. As for Heinrich Zimmer, a comprehensive edition of his writings has just been initiated. These are monuments. Michael deeply respected his father’s and grandfather’s achievements, but he had no desire to compete. For the most part he kept an ironic distance from fame and monuments. And yet, in his own way, he too was an artist with imagination and a creative mind. But his legacy is more ephemeral. One day at his house in Harlem he took out a notebook with his drawings for a project on which he had been working with his friend Bill Barrell – a (playful) statue or monument in the shape of a light bulb. Then he pointed at two shelves filled with his notebooks, and said: „This is my life work.“ He left them all to Vera and asked her to destroy them. „His life was his art and that was enough.“ This is a quotation from an obituary for Michael in Forbes magazine. I am grateful to Michael for having invited me many times to be part of his life and his art. The Forbes obituary calls Michael one of New York’s last eccentrics and relates the following: “His kind ensured that … New York … in the early 1980s was still a splendid, absurd, fabled place. On one occasion...he threw a party around a Faustian figure, a German fellow he’d discovered who had lived in Doctor Faustus’s original house. The entire party was centered around the man getting a haircut, while everyone else got drunk.“ This happened in 1989. Not everything is quite correct in the account here. But it’s true that Marcel’s haircut was one of the finest I’ve ever had. And I got it for free. Thank you, Michael. Zum Sardine Museum vgl. Stranger from Away, Film von Vera Graaf und Max Scott, 2003 und Peter Cunningham: The Sardine Museum & Herring Hall of Fame © 2008 Peter Cunningham .